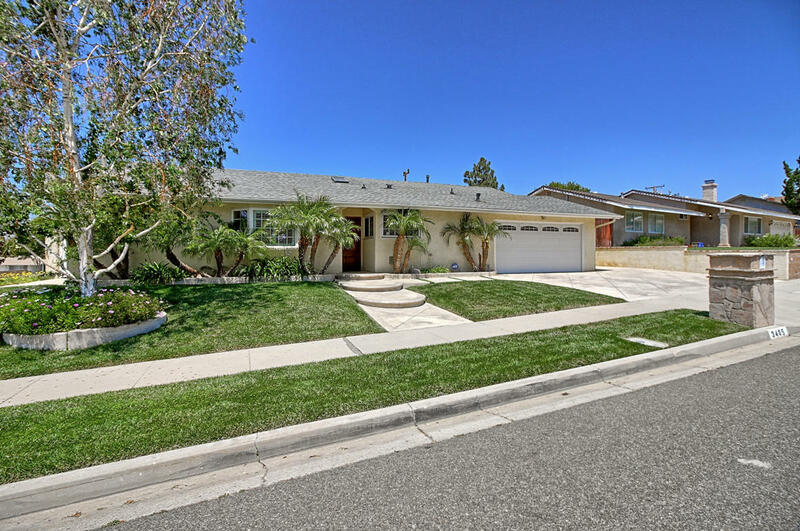 Beautiful, remodeled home in a fabulous neighborhood with great schools. Designer faux paint, spacious kitchen with upgraded cabinets, Stainless Steel appliances, granite counters with tile back splash, Center Island and built-in wine refrigerator. Scraped ceilings throughout, expanded living room, recessed lighting, tile flooring, wood burning fireplace and two sliders that lead to rear yard. some of the Upgrades include A/C, furnace, roof, dual pane windows, plantation shutters through out and security system. Master bedroom has a walk-in closet and organizers, enlarged Master Bath with a Hydro Systems Jet Tub large shower stall with designer tile flooring. Back yard has a beach entry salt water pool with a Baja step & spa. Covered patio with a built in BBQ and wine fridge. A fire pit area as been built as well. This is a home you WILL NOT want to miss.